The Powder River Basin coal-bed methane gas industry that drilled at a pace of 2,500 wells annually for a decade has been in sharp decline in recent years. Operators have mostly stopped drilling and are now idling thousands of wells, and perhaps thousands more have been abandoned — “orphaned” — by operators struggling financially. Last week, Wyoming lawmakers heard testimony that the number of orphaned wells likely exceeds 1,200 — and more will be added to the list of liabilities to the state. State officials say they’re having difficulty measuring the exact scope of the problem due to complex record-keeping among multiple agencies. Ryan Lance, director of the Office of State Lands and Investments, told WyoFile that his staff is working through stacks of files to try to determine which operators owe money, and how much. In some cases, the orphaned wells devalue ranch properties, and in other cases they complicate a promise that the industry made at the onset of the play: that some wells would be transferred to ranchers for use in watering livestock on the arid high plains. Coal strata are often aquifers in the region. In some areas, the production of coal-bed methane gas has substantially drained the coal aquifer because operators had to pump large volumes of water from the coal to get the methane gas also contained there to flow to the surface. By 2010, the industry had pumped 783,092 acre feet of water from the coals, according to the Wyoming State Geological Survey. That’s enough water to fill Lake DeSmet three times. Only a small percentage of that water was put to beneficial use. “There’s concern from land and mineral owners who are not getting surface use and damage payments anymore. 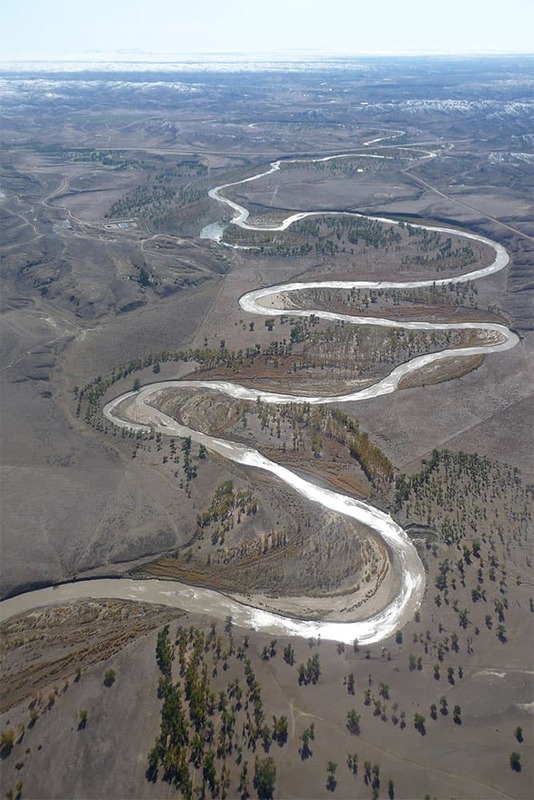 … Money is spent on attorneys trying to recoup surface use payments,” as well as royalties, said Jill Morrison of the Powder River Basin Resource Council, a landowner advocacy group based in Sheridan. Morrison testified before the Joint Minerals, Business and Economic Development Interim Committee last week in Gillette. While some operators, such as Anadarko Petroleum Corp., are financially sound enough to plug wells that are no longer commercial, a handful of smaller operators flirt with bankruptcy and fail to conduct required maintenance on the wells, creating potential hazards to human health and the environment. Some operators have simply walked away from their coal-bed methane properties in the basin. That leaves the job of plugging wells and reclamation to the state, which will rely on an industry-funded orphan well account to cover the cost. 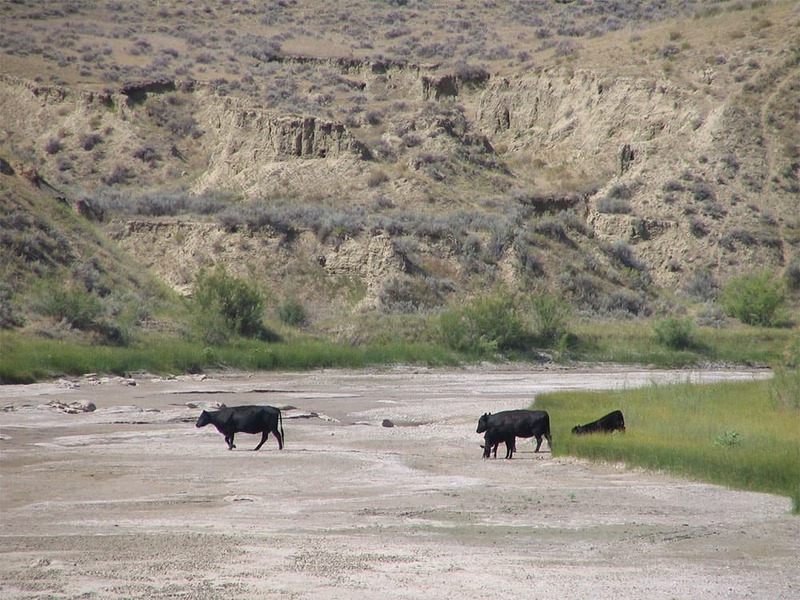 The task of plugging and reclaiming orphaned coal-bed methane facilities, and collecting unpaid user fees and royalties, is divided among state agencies and the Wyoming Bureau of Land Management. So far, the state agencies do not have a complete picture of the scope of the problem and the resources available to address it. The state’s orphan well fund comes from a “conservation tax” mill levy imposed on all oil and gas producers in the state. “There are no citizen tax dollars paid to plug these wells,” Wyoming Oil and Gas Conservation Commission supervisor Grant Black told the commission. The state legislature allocates $2 million per biennium from the fund to the Oil and Gas Conservation Commission. A portion of the money is also used to operate the commission’s operations. The commission’s board can vote to increase the mill levy if it appears in danger of being tapped dry. The state has plugged and reclaimed about 100 wells per year on average, so it could take more than a decade to fix the current orphan well liability. 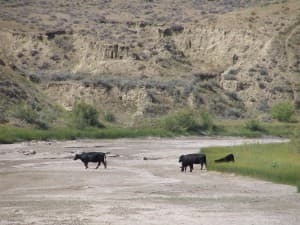 “So if you’re a rancher or landowner, and you have wells on your property, you may be a decade or more out on getting these wells plugged,” Morrison told committee members. Black was noncommittal about a timeframe for plugging and reclaiming the current count of 1,200 orphaned wells and many more wells that will likely become orphaned in years to come. That didn’t satisfy members of the minerals committee. Sen. Chris Rothfuss (D-Laramie) said, “I’d like to see that,” referring to a timeframe for completing the job. Ownership of surface and minerals involved in coal-bed methane gas is divided between fee (or private), state and federal. It’s unclear how many wells fall under jurisdiction of the state and how many fall under jurisdiction of Wyoming BLM. Unlike the state of Wyoming, BLM doesn’t have an orphan well fund. Before the state dips into the industry-funded orphan well account, it collects bonds posted by oil and gas operators responsible for the abandoned facilities. But the amount of bond posted usually covers only a small fraction of the liability. The state allows operators to post a minimum “blanket bond” of $75,000 for an unlimited number of wells, but it can ask for a higher amount. In recent years, as the orphan well problem became apparent, the Wyoming Oil and Gas Conservation Commission began identifying operators at risk of abandoning coal-bed methane wells, and demanded additional bonding. The agency also aided at-risk operators in finding potential buyers in hopes that more financially-solvent companies would maintain the properties. But the effort has yielded limited success. For example, the Oil and Gas Conservation Commission was able to get California-based USA Exploration & Production to increase its bonding level for its holdings of nearly 150 coal-bed methane gas wells at risk of being orphaned. When the commission revoked USA Exploration’s bonds earlier this year for failure to meet testing and reclamation requirements, it collected a total $154,000. Yet the total cost to plug and reclaim the properties could cost an estimated $1.4 million. “This is probably one of the most important things before the commission right now that we have to address,” said Black. The state’s assurances that it will rectify the problem fall flat with some landowners in the region who, at the onset of the coal-bed methane gas play more than 10 years ago, warned that the state and federal bonding requirements were too low to ensure proper de-commissioning and reclamation. 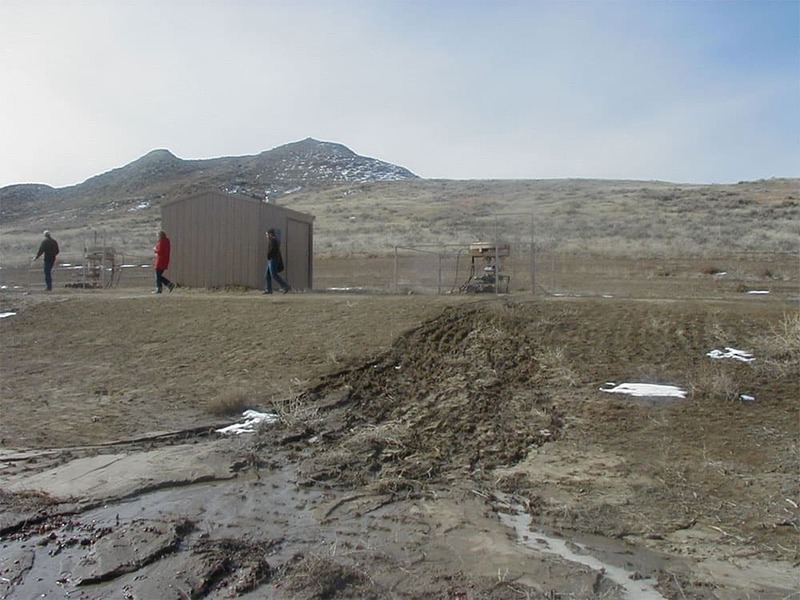 Contacted by phone, Johnson County rancher Steve Adami said a coal-bed methane operator abandoned some facilities on state sections of his ranch about five years ago, and the facilities still have not been properly reclaimed. “It’s so frustrating. We just shouted from the rooftops — from 10 years ago until now — that ‘the bonding is inadequate, the bonding is inadequate,’ and their attitude was, ‘Leave us alone you whiny snots,’” Adami said. During public comment before the minerals committee last week, Campbell County rancher Marge West said the state needs to fundamentally change its bonding rules for the oil and gas industry. West, and the Powder River Basin Resource Council, say the state ought to follow the federal model applied to the coal mining industry, which requires mining operators to post bond for 100 percent of the reclamation liability. Ever mindful of maximizing returns for shareholders, oil and gas producers constantly shed marginal properties and replace them with what’s hot on the commodities market, and what can deliver quick returns. The resulting migratory pattern of drilling rigs followed by production is making a complete circle in Wyoming’s Powder River Basin. Anadarko Petroleum Corp., for example, is shifting from dry gas (coal-bed methane) to liquids, plugging some 1,100 coal-bed methane gas wells last year while tapping deep shale oil in the basin. Anadarko has drilled 15 horizontal shale oil wells in the basin since 2011, and it plans to drill up to 17 more this year, according to company officials. In some instances, Anadarko will drill for deep oil on the same properties where it used to produce coal-bed methane gas. “So we see (the Powder River Basin) moving from a gas province into an oil province,” said Ryan D. Helmer, subsurface manager of coal-bed methane for Anadarko. Helmer and Anadarko general manager, Nichols W. Schoville, both testified before the Joint Minerals, Business and Economic Development Interim Committee in Gillette last week. Anadarko, one of the biggest coal-bed methane gas players in the basin, plans to continue plugging hundreds of its coal-bed methane gas wells each year. 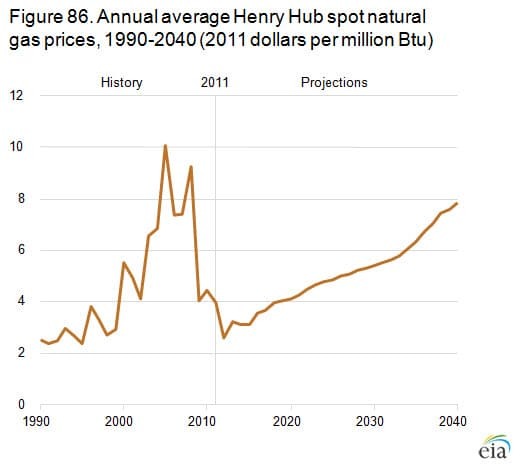 The decision to switch from coal-bed methane to oil stems from a combination of low natural gas pricing, strong oil prices, and the fact that coal-bed methane gas is mostly played out in the basin. “The play is maturing. The best spots have been drilled,” said Helmer, adding that the industry may still continue to drill some new coal-bed methane wells in the basin’s remaining sweet spots. One of the sweet spots is in the Fortification Creek area between Gillette and Buffalo where the industry wants to drill some 500 wells. 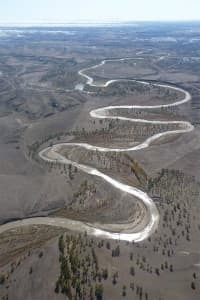 But that full development scenario has been on hold while the BLM considers special protections for prime wildlife habitat in Fortification Creek. The area is home to a rare high plains elk herd — a prime hunting resource. Anadarko officials asked Wyoming lawmakers for assistance in convincing federal land managers to allow the industry’s drilling plans to move forward. Wyoming lawmakers asked if overly burdensome federal regulations were to blame for the demise of coal-bed methane in northeast Wyoming. No, said Helmer. The coal-bed methane is simply played out — at least beyond the hayday decade when the industry averaged 2,500 new wells per year. Helmer said Anadarko has already developed primary production from about 95 percent of its coal-bed methane fairway properties along the Powder River. There are still limited opportunities in the fairway he said, where the resource looks to be commercially viable in the $4 to $6 per thousand cubic feet (mcf) range. But other coal-bed methane properties in the region won’t reach commercial viability until prices climb to the $7 to $9 range, he said. “A large part of this is the field is maturing. … We would not expect to get back to 2,500 wells per year even if prices got back up,” said Helmer. The Powder River Basin was once Wyoming’s largest natural gas producer at more than 1 billion cubic feet per day, due to the boom in coal-bed methane gas. Anadarko expects the national average price of natural gas to remain in the $4 to $5 range for the next eight to 10 years, citing forecasts from the U.S. Energy Information Administration. “That’s primarily driven by the amount of the gas supply we have in the U.S. right now,” said Helmer. That $4 to $5 per mcf stability depends on the nation maintaining a normal annual cycle of filling natural gas storage during the warm season and drawing it down in the cold season. Natural gas is still prone to slipping below $4 per mcf — a particular concern in Wyoming because natural gas is the state’s single largest source of revenue. “It’s very winter dependent and very weather dependent at this point in time,” said Helmer. “There are better oil and liquid opportunities to invest in,” added Schoville. Lawmakers asked whether some existing pipeline gathering systems for coal-bed methane could carry natural gas that’s associated with the current shale oil play in the basin, helping to curb the need to flare, or burn, that gas, for which there are no immediate gathering systems tied to new oil well drilling locations — a major economic, human health, and environmental concern. Anadarko officials said that’s not likely, because the existing coal-bed methane gathering systems were built for low-pressure, dry gas, as opposed to the gas that’s associated with deep oil, which is wetter and under higher pressures.